that if you dont understand ID's. 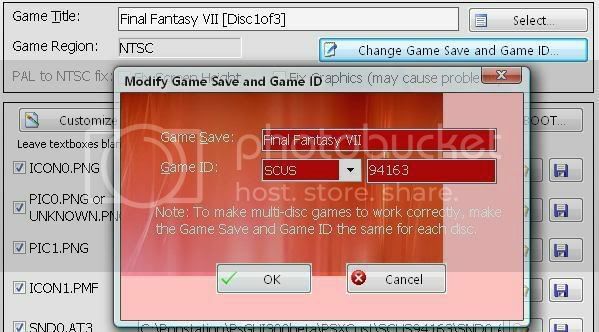 Once you finish Disc 1, majority of games allow you to save before you swap disc, SO SAVE! CWCheat version and adds .GME format to export/import. starts and the CWCheat Menu comes up. load the game, here is the tricky part. RIGHT after the PSX LOGO ends and the game starts. ^ Always use this type of timing!! Hold select RIGHT AWAY for 3 seconds or more to load CWCheat. Click "Manage memory cards"
Click "Load Memory Card 1 from memory stick"
RESAVE the GAME (NOT the FILE) to make sure it writes to your memory stick. Click "Save Memory Card 1 from memory stick"
If its there, we are done. Q- Can i use the .mcr file on ePSXe? Q- Can i use the manage memory card trick to continue onto the 2nd disc of certain games? memory card using this trick. Q- Why is my game showing up as corrupted but others dont? Q- I Heard theres a fix for Chrono Cross and Parasite Eve, is that true? Q- Im trying to load a save file using Manage Memory Cards and im getting an error. 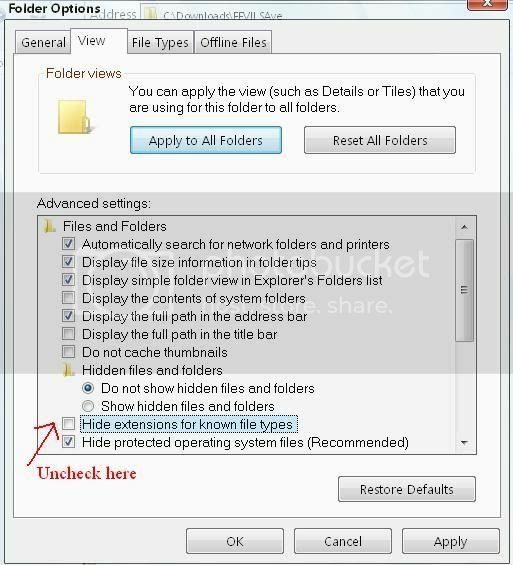 To make sure, we should disable the "Hide extensions for all known file types"
good job! that was a good tutorial. i just go these games to work on my psp today so i was afraid that i wouldn't be able to play ff7. one more thing, where can i download ps1 games from (maybe u can't give me the link here)? Awesome tut. Nooblets'll love it and hopefully we won't see another disc swapping thread. worthy of the tut section.